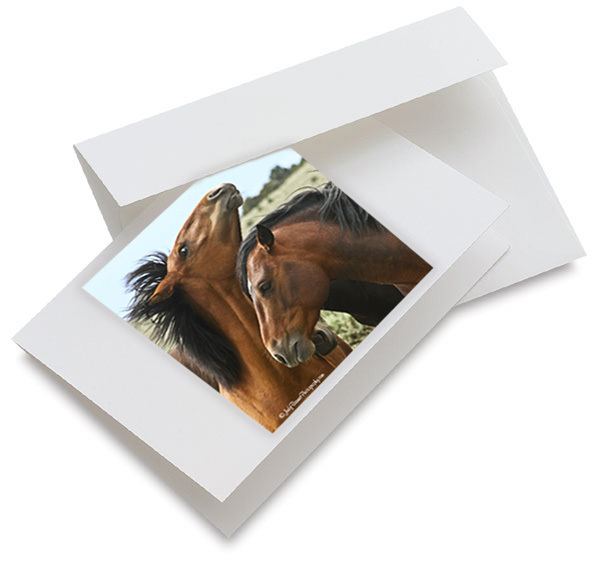 100% of Profits Directly Support our NonProfit Organization. Help support the Spirit of the Wild Horse in their work to save the American Wild Horse. With your purchase of items from our online store, the funds will go to support this non-profit organization. Photography by © Judy Barnes Photography. Please allow 2 weeks minimum for your order to reach you. Judy processes orders as she receives them. White Ceramic Mug with your choice of design. Spirit of the Wild Horse Logo on the opposite side. Choose your mug design below. This is for one mug. Scroll Down the page to order more than one mug. $15.00/each – Can only order one mug using the button below. Two White Ceramic Mugs with your choice of design. 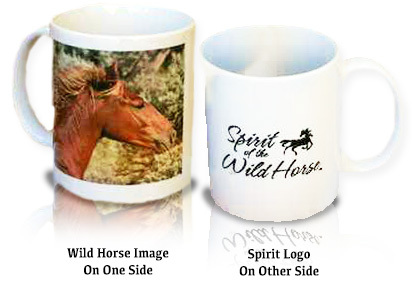 Spirit of the Wild Horse Logo on the opposite side. Choose your mug designs below. This is for two mugs. 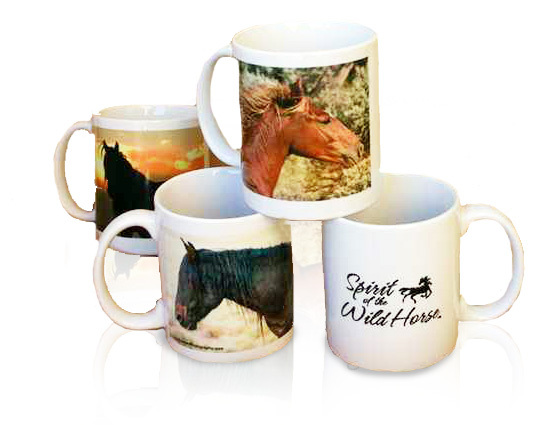 Scroll Down the page to order a four pack of mugs. 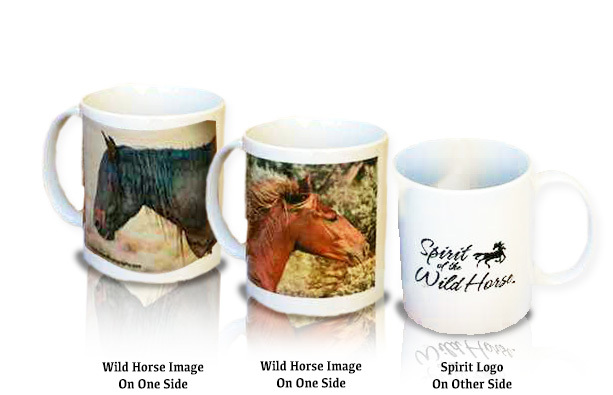 Four White Ceramic Mugs with your choice of design. 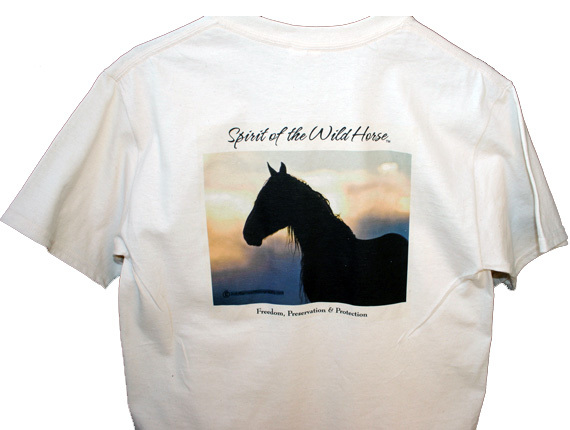 Spirit of the Wild Horse Logo on the opposite side. This is for four mugs. Choose your T-Shirt design below. 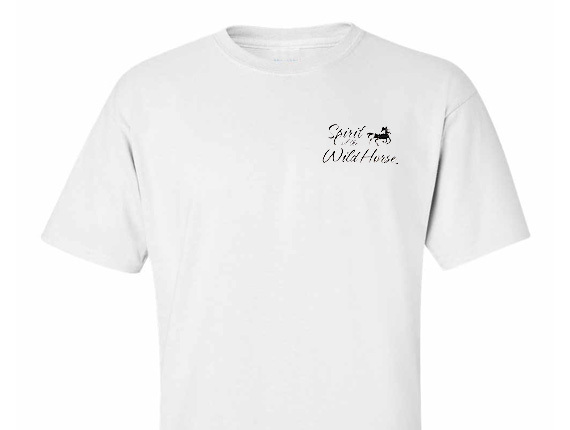 T-Shirts available in White only at this time. Choose your Notecard design below.